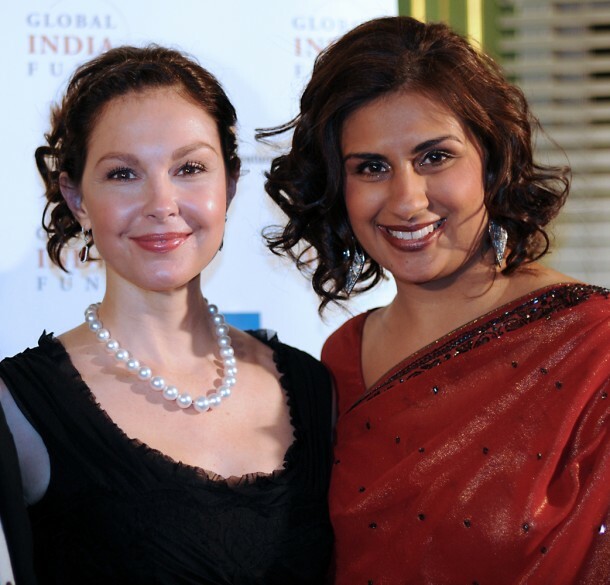 We alerted you earlier last month when Ashley Judd was set to be honored at the Global India Fund’s benefit gala, “Invest in Girls, Invest in a Stronger Future.” The Gala, which took place March 2nd, brought in nearly 400 guests, including Judd’s saree-clad mother, Naomi Judd, to the Andrew W. Mellon Auditorium and raised nearly $150,000 in one night. The Global India Fund’s annual gala was part of a 2013 year long fundraising initiative to support public health programs for girls and women in India. Event chairperson Nitasha Chaudhary Nagaraj and GIF co-founder Sarita Bhatt of Havas Worldwide, the event’s premiere sponsor, presented Judd with her award. The event was emceed by WUSA-9 news anchor, Monika Samtani, and event sponsors included the Sanju K. Bansal Foundation, Morgan Stanley, BGE, Binary Fountain, the Reggie and Dharini Aggarwal Foundation, and NIKA Architects and Engineers.